We are able to manage your project from conception to completion using either individual designs or existing patterns for a cost effective solution. All of our work is made to a high specification from the best quality materials, not to be confused with ‘off-the-peg’ products. Veranda: an open pillared gallery around a property allows the outdoor space to be used in inclement weather. Your veranda can be a customised original or match existing architecture. Everything is tailored to your exact needs. 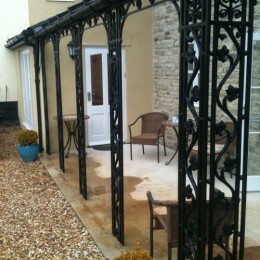 We can repair an existing structure or can work from images or similar wrought iron verandas you have seen and admired. We also offer a complete free design service to enable you to find the perfect veranda for your property. It can be a classic elegant Victorian design, a stylish modern steel and glass structure or a combination of styles. Our designer will help you find exactly the right wrought iron verandah to match its surroundings. 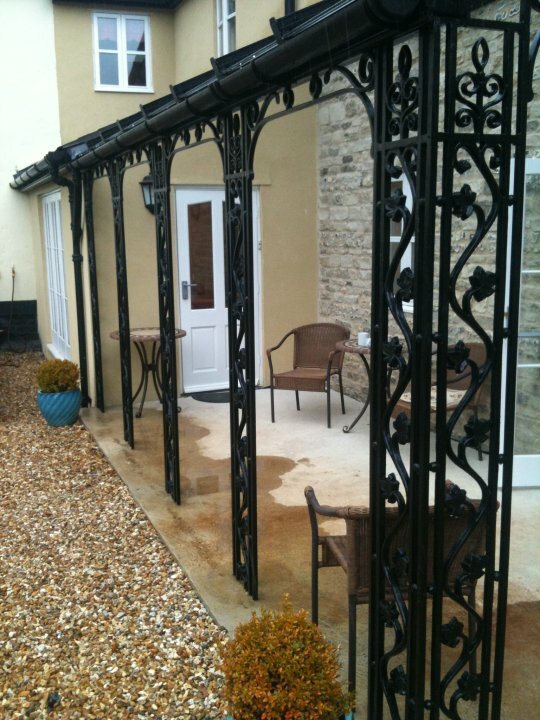 Every wrought iron porch or veranda is tailored specifically to you. All parts are made especially for you and you can blend vintage and modern to come up with the perfect design. The Victorian Filigree architectural style of veranda is ever popular and is often blended with a modern glass roof to allow more light into the doors and French Windows behind. 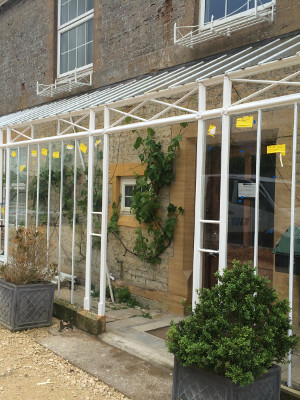 As well as manufacturing the ironwork, we are able to take care of all associated trade work such as groundwork, stone masonry and structural engineering to deliver a complete service and complete peace of mind.